Happy Friday! Heading into the first weekend in 2018. Hope you all had a great start of the year and week. Now, it's time to relax and refuel for all the holiday celebrations. This weekend, I plan to unwind by catching up on my favorite tv shows, brunch with friends and dinner/movie date with hubby. 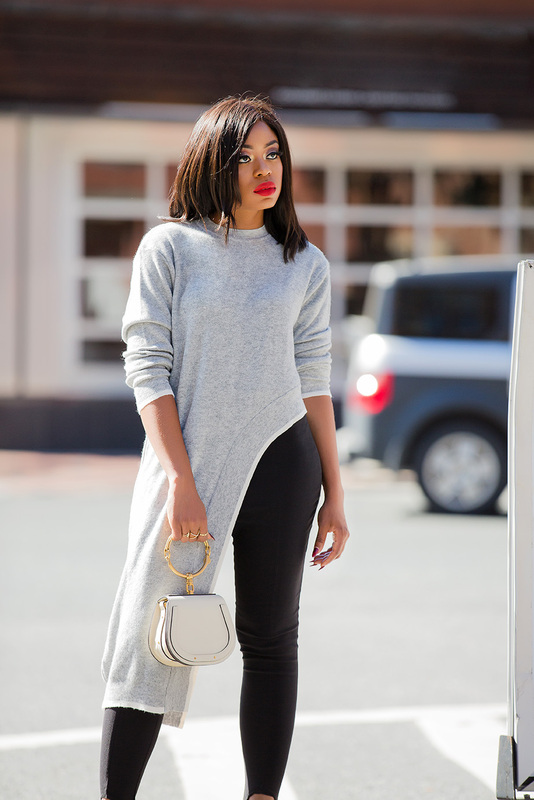 A date look for me this weekend is a mixture of comfort and chic. Stirrup leggings are very comfortable, whether you are dressing it up in heels for a date or chilling at home on the couch. 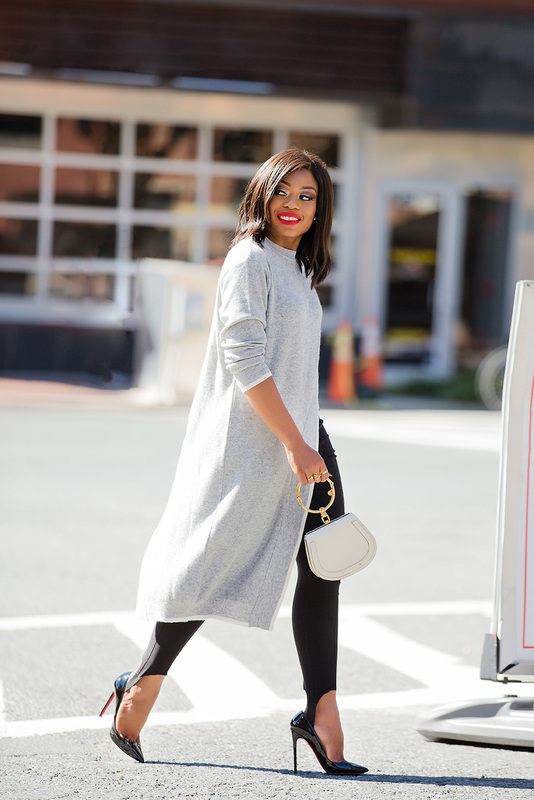 Chunky sweaters and knits always come in handy to pair with stirrup pants during the winter season. 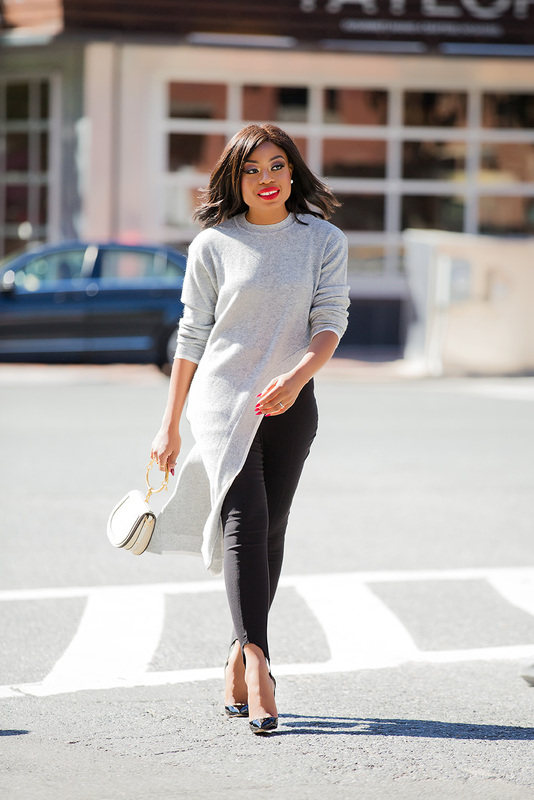 For this weekend date look, this extreme dipped hem knitted sweater adds a fun twist. I previously styled this stirrup leggings back in summer with a bow back top. Stirrups are a great alternatives to a casual jeans look for the weekend.